Deliciously moist pumpkin cupcakes with a rich flavor. 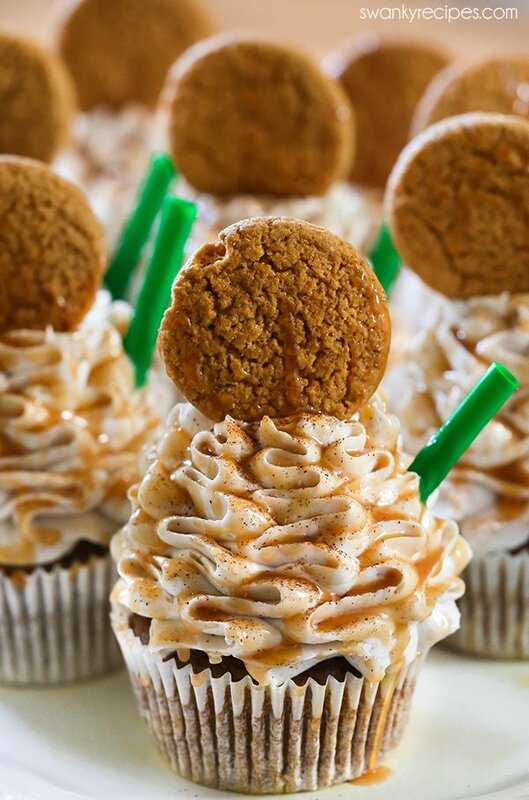 These Pumpkin Spice Latte Cupcakes are made to taste just like Starbucks Pumpkin Spice Latte. Made with pumpkin, coffee, and milk, these buttercream frosted cupcakes pack plenty of real flavor for every pumpkin lover! Autumn is my favorite season. I find comfort in snuggling up with a blanket, and a good book while sipping on a hot latte with warm spices. I’ve created that same warm feeling into these pumpkin cupcakes. Every fall, I patiently wait for Starbucks to come out with their Pumpkin Spice Latte. Once it hits the menu, it’s the unofficial start of the fall holiday season even if the temperature outside is much like summer weather. Nothing beats warm coffee with pumpkin flavor and warm fall spices and that’s where the inspiration for this recipe came from. Last week I bought a few pumpkin spice lattes from Starbucks for the family and headed home to make my first batch of Pumpkin Spice Latte Cupcakes. After thinking about Starbucks pumpkin spice latte ingredients, I put together this easy recipe. The first batch I made didn’t have much of a coffee flavor and paled in comparison to the Starbucks latte in my hand but I quickly got the recipe right and it’s perfect to share now. I finally found a pumpkin patch near me after years of searching. Having lived in the Midwest most of my life, pumpkin patches were everywhere. About 10 years ago, my dad started growing his own pumpkin patch on his land and I’ve always had an abundance of pumpkins for the season. I can’t imagine life without pumpkins. There is nothing like warm spices, sugar, and pumpkin cheer up a brisk autumn day! If you can’t get outside to visit a pumpkin patch this season, then this Pumpkin Spice Latte Cupcake recipe will suffice. Just visit your local grocery store and pick up a can of pumpkin puree. There are times where it’s perfectly acceptable bake the whole season away and fall and winter my times! These Pumpkin Spice Latte Cupcakes are full of pumpkin coffee flavor with cream, caramel sauce, warm spices, and buttercream spiced frosting. If you love Starbucks Pumpkin Latte, then you’ll fall in love all over again with these pumpkin cupcakes! 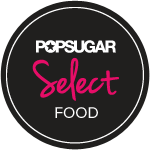 Looking for more delicious cupcakes recipes? Try these Maple Bacon Cupcakes or these Caramel Apple Cupcakes. I love this Maple Bacon Crack, too! 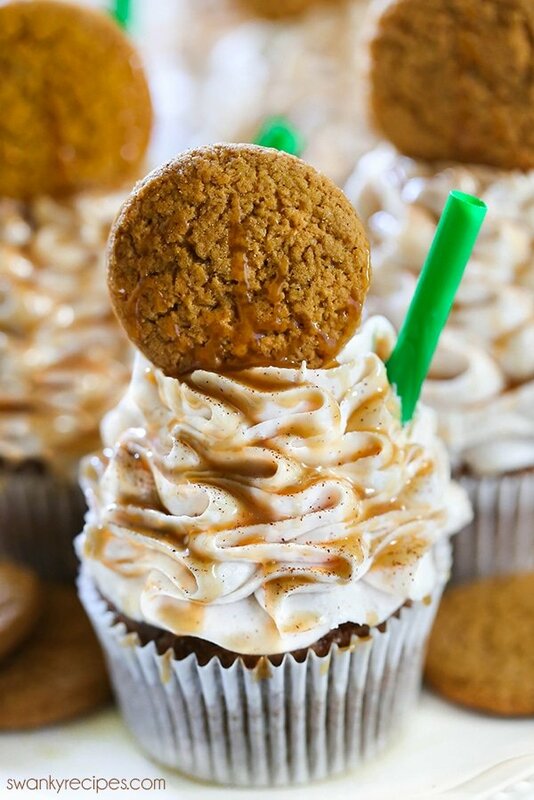 Pumpkin Spice Latte Cupcakes with moist pumpkin cupcakes with a rich flavor. 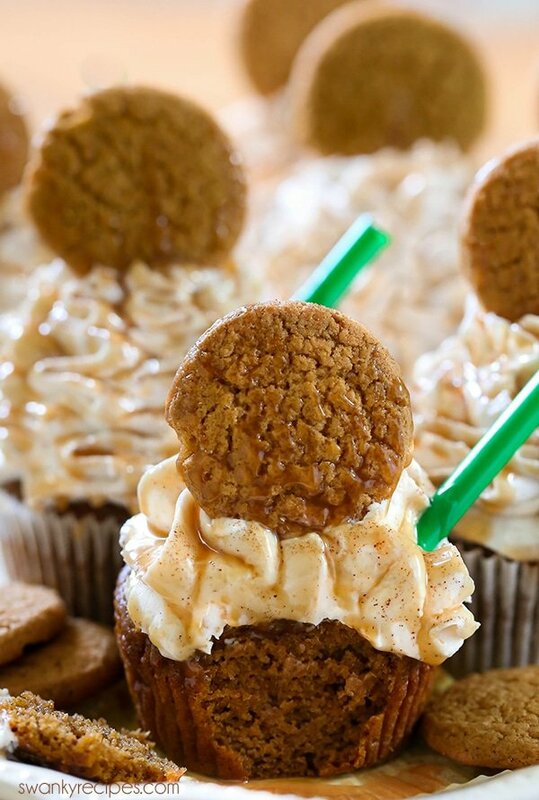 These Pumpkin Spice Latte Cupcakes are made to taste just like Starbucks Pumpkin Spice Latte. Preheat oven to 350 degrees F. Line a muffin tin with cupcakes liners; set aside. 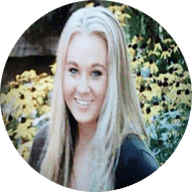 In a large bowl whisk together combine flour, sugar, baking powder, baking soda, ground cinnamon, pumpkin pie spice, and salt. In a separate bowl, whisk eggs. Add in pumpkin puree. Brew a hot cup of coffee and measure out 1/4 cup coffee. Add instant coffee to 1/4 cup coffee then stir to dissolve. Add half and half or milk/cream to coffee. Pour mixture into pumpkin mixture. Add in vegetable oil to wet ingredients. Whisk everything until thoroughly combined. Whisk wet ingredients into dry ingredients until everything is combined. Add 1/4 cup (4 tablespoons) pumpkin batter to each cupcake liner. Bake in oven 20-25 minutes or until a toothpick inserted into the center comes out clean. Allow cupcakes to cool before frosting. 1. Meanwhile, make the frosting. In a bowl fit with a mixer, beat butter, powdered confectioner's sugar, and pumpkin pie spice. Once smooth, turn mixer up to medium and beat in chunks of cream cheese and shortening. Mix frosting until smooth. 2. Fill pastry bag with a cupcake tip and frost each cupcake. Frosting may need to be chilled in pastry bag to create same design as photos. Also, I used a Russian Ball Tip to frost each cupcake. See notes on where to buy, otherwise, any cupcake tip will do. 3. 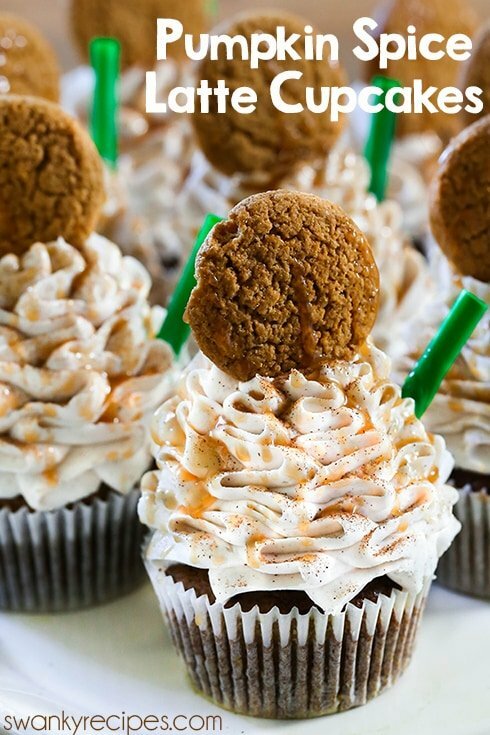 Top each cupcake with a gingersnap cookie, straw, and drizzle with caramel sauce. 5. Cupcakes need to be chilled until 30 minutes before serving. If cupcake sticks to liner, place them in a ziplock bag for a few hours. Alternatively, you can spray a little vegetable oil on the liners to prevent sticking. these look amazing!!! 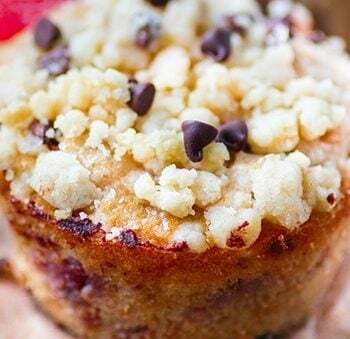 I love the added crunch on top with the ginger snap!!! These would be so perfect for a fall dinner party! I could sip on these cupcakes all day long 😉 They look so yummy! I love that frosting and the drizzle over the top! YUM! You had me at pumpkin spice! 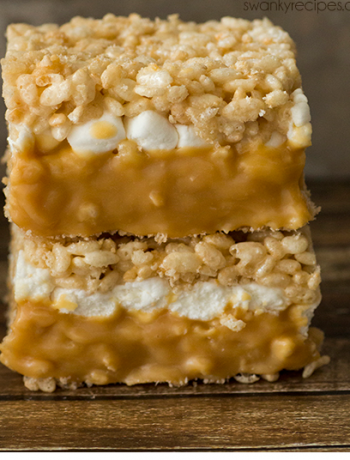 This recipe is absolutely mouth-watering and I need to make them asap! WOWOWWOOW! That perfectly piped frosting, the fluffy muffin, the syrup drizzle and a gingersnap cookie on top? I mean, you had me at pumpkin spice latte but these are really ticking all the boxes! A dessert dream! Haha, I totally agree. I judge the season by the Starbucks drinks 😉 These look so good. 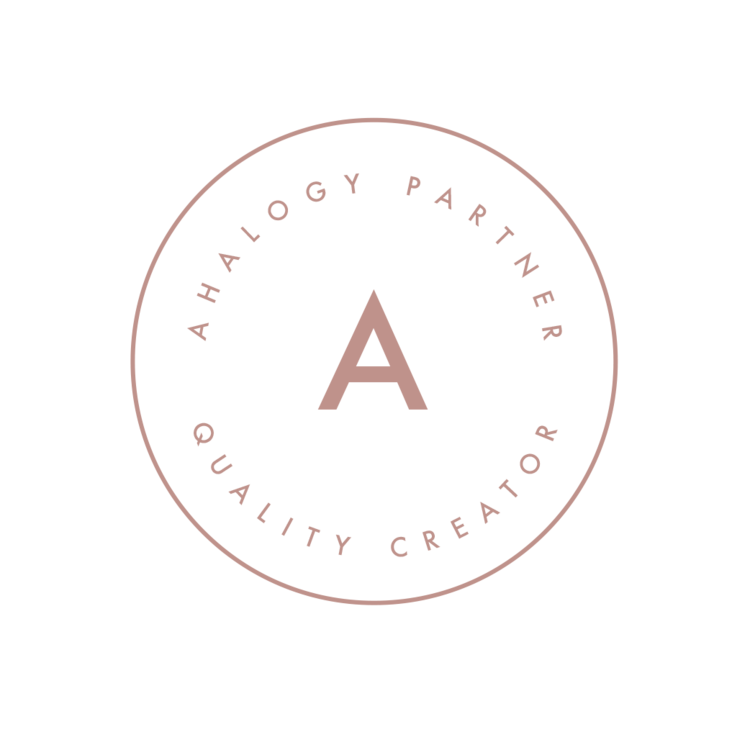 Pinned for later!! Yes yes…and yes! These cupcakes are beautiful! 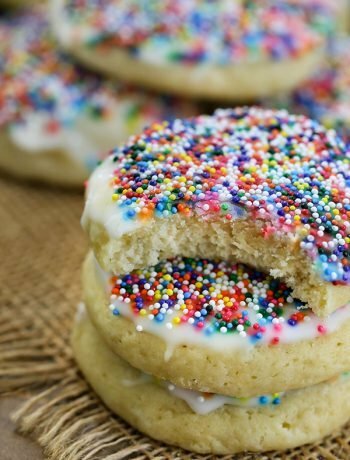 Your piping job makes them look even more delicious. I’m a big pumpkin spice lover, these have everything. A beautiful dessert! I love that it’s filled with fall flavors, and perfect to serve during the holidays. I’m on the total opposite spectrum as you…I’m not a fan of pumpkin 🙂 So for these cupcakes, I would do like I did with sweet potato pie at Thanksgiving…eat the topping only!! 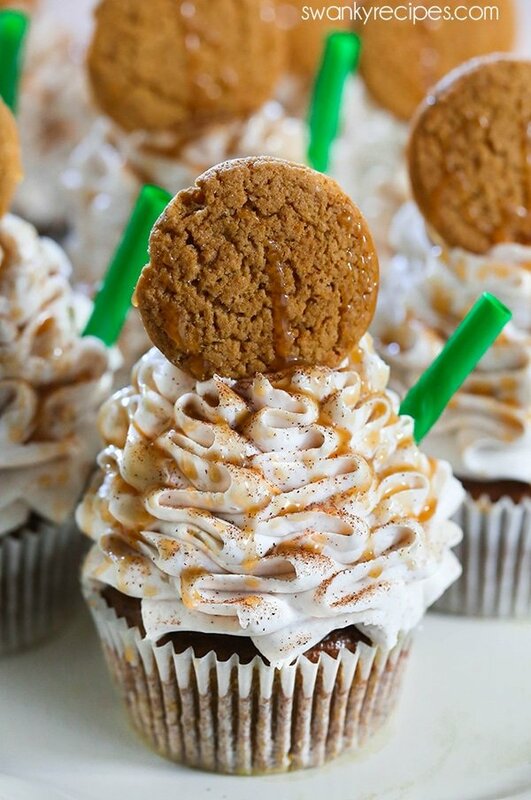 These little Pumpkin Spice Latte Cupcakes look lovely. They have all the tasty fall flavors. Can’t wait to make a batch. The flavor of these sound so good but the look of them is even better! You photos capture just how delicious they will be! These look absolutely perfect. I have some PSL-obsessed friends who would go totally crazy for these.